Bobeau is a contemporary-influenced modern missy line launched in 2009. This category is geared toward trend-conscious women who desire sophisticated and modern clothing which also fits well. Its core demographic ranges from 25 – 55, including both mothers and daughters who can share the same top or outfit. The brand is known for its rich colors, luxuriously soft knit fabrics, textures, and understated prints in easy updated styles for both daytime and nighttime occasions. 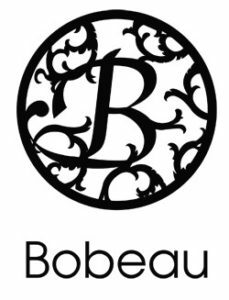 Whether a customer is looking for an afternoon getaway or dressing up for an evening on the town, Bobeau can complete multiple looks and styles. Bobeau is casual and chic, designed to be dressed either up or down, as a focal point in the outfit or as a piece to complete a look. Its products are known for sophistication and a contemporary influence, but without overstatement. These attributes are influenced by its rich colors, looser cuts, and unique fabrics and textures. Bobeau products come in both knits and wovens, or a combination of both, and include textured tops, sweater knits, pull-up skirts, bottoms, cardigans, t-shirts, and dresses. While the brand is considered a bit more conservative than H.I.P., it can be viewed as a hybrid of juniors and more contemporary styles. H.I.P., a better juniors brand worn by a teenage demographic, was launched in 2007 and is regarded for its close-fitting, straight, and slim silhouettes. H.I.P. was designed to help the Company benefit from higher margins as compared to Crew’s original value-driven product lines. H.I.P. is known for its fun, modern and edgy prints, unique patterns, and casual design aesthetic, and mainly consists of knit tops and some wovens. Some of the most common items include sweatshirts, t-shirts, tank tops, tunics, shorts, and skirts. Founded in 2001 by Chris and Peter Jung, Crew Knitwear is a leading designer, manufacturer, and wholesaler of modern missy and juniors apparel selling primarily under the Bobeau, Bobeau Collection and H.I.P. (“Happening In the Present”) label . Crew’s styles are inspired by contemporary looks and appeal to a broad array of consumers through distinctive color palettes, attractive patterns and textures, and an emphasis on fit. Key products include soft knit tops, dresses, cardigans, pants, and skirts. For billing related questions or issues please contact: Accounts Receivable at 888-895-8784 or ar@bobeaucollection.com. 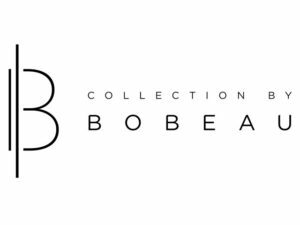 For Customer Service related questions or issues please contact: Customer Service at 888-765-2654 or cs@bobeaucollection.com.